PRESS RELEASE — More Opportunities to Travel Later in the Evening – Starting today, many customers using StarMetro can look forward to more service in the evenings. Recently, the Florida Department of Transportation (FDOT) awarded the transit agency with a service development grant to extend a majority of its weekday service until 8 p.m. Currently, StarMetro operates a weekday service that is comprised of 12 routes that run from 6 a.m. to 7 p.m. and a nighttime service that consists of six routes that run from 7 to 10 p.m.
StarMetro will take a phased-in approach to extending nine of its 12 weekday routes. Today, the Dogwood and San Luis routes will begin running their newly extended schedules with the Forest route running its new schedule on June 3. The Azalea, Big Bend, Canopy, Evergreen, Gulf and Moss routes will begin running their new schedules on August 24, just in time for the new school year. These nine weekday routes were chosen and prioritized due to their anticipated ridership demands. For more information about StarMetro services, please call StarMetro’s main office at 891-5200 or visit Talgov.com/starmetro. Other ways to view information include liking StarMetro’s official Facebook page at Facebook.com/starmetrotransit or following the organization on Twitter at Twitter.com/ridestarmetro. 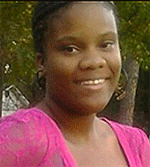 The Tallahassee Police Department Special Victims Unit is seeking the whereabouts of 16 year old Alexis Nichols. Nichols was last seen on May 11, 2013 in the area of 2660 Old Bainbridge Rd. Nichols is about 5 feet 4 inches tall and weighs about 150 pounds. Anyone with information on Nichol’s whereabouts is asked to call the Tallahassee Police Department at (850)891-4200.